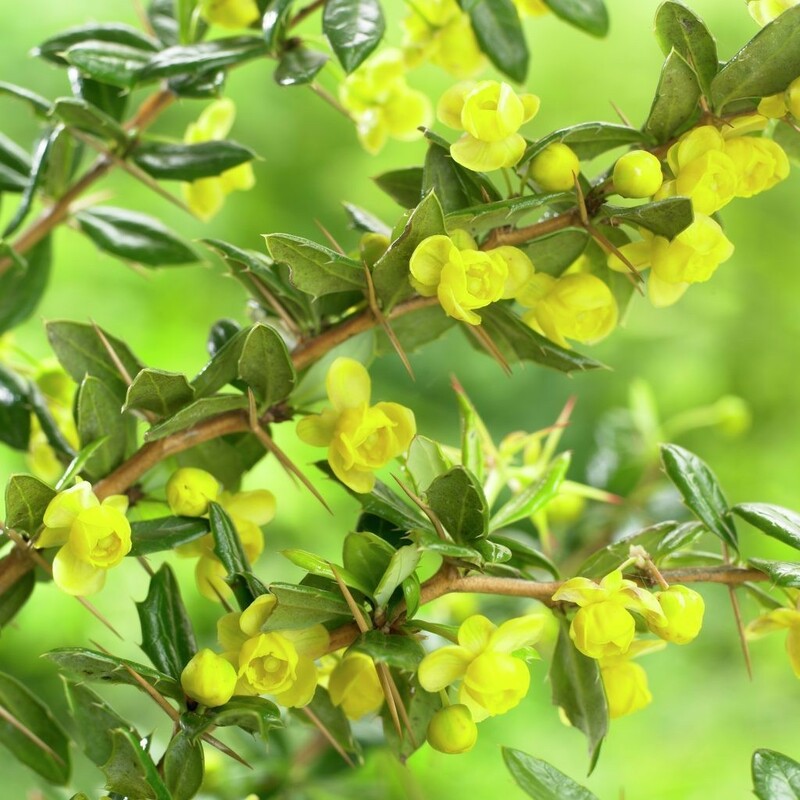 This evergreen Berberis provides very dense cover, is a prolific growers, and very easy to care for. It will quickly provide you with an evergreen this is neat looking, but prickly - perfect for planting in a row and creating an impenetrable hedge. Telstar features attractive lance-shaped leaves which are dark green on top, and silver below. In spring these bushes produce clusters of yellow flowers, which then turn into blue-black edible barberries. Berberis Telstar is also shade tolerant, plus foliage will often flush red as temperatures drop in autumn and winter, adding a further dimension of interest. Supplied in 2-3 litre containers.